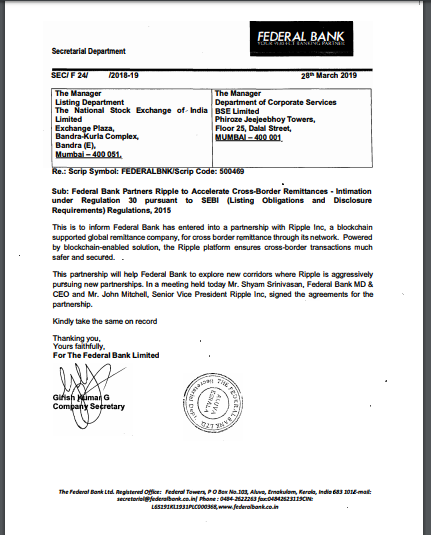 Federal Bank India, a private bank entered into the partnership with a blockchain based Ripple Inc. The report was confirmed by Federal Bank Managing Director & CEO, Mr. Shyam Srinivasan and Senior Vice President of Ripple, Mr. John Mitchell. 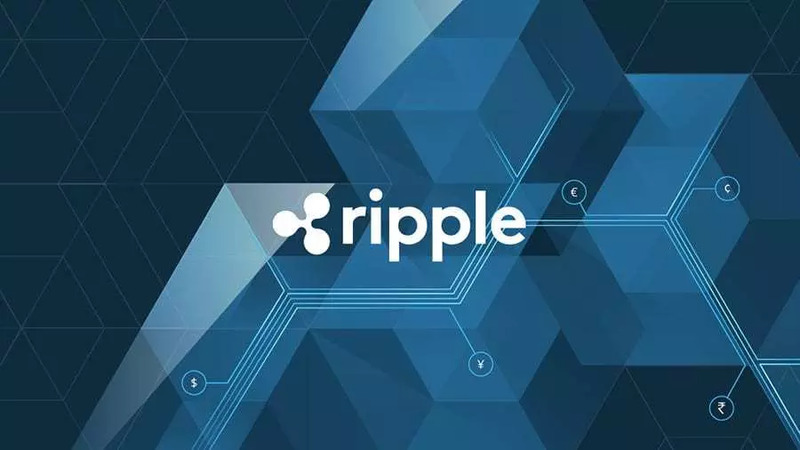 According to the reports, both Ripple and Federal Bank has signed an agreement of partnership. The tie-up will facilitate Federal Bank to enjoy new corridors such as ‘new cross-border payment system’. Moreover, it was reported that the partnership announcement let Federal Bank’s shares soar 52-week higher on March 29. This is to inform Federal Bank has entered into a partnership with Ripple Inc, a blockchain supported global remittance company, for cross border remittance through its network, read the report. Powered by blockchain-enabled solution, the Ripple platform ensures cross-border transactions much safer and secure. This partnership will help Federal Bank to explore new corridors where Ripple is aggressively pursuing new partnerships. In a meeting held today Mr. Shyam Srinivasan, Federal Bank MD & CEO and Mr. John Mitchell, Senior Vice President Ripple Inc, signed the agreements for the partnership. While at one hand, Government is reluctant to finalize anything on crypto aspects in India – on the other hand, Indian Federal Bank with headquartered in Kerala (State of India) optimistically entered into the blockchain space. The bank runs with 70 years of history and having 1251 branches with over 1655 ATMs and 258 cash recyclers across the country.